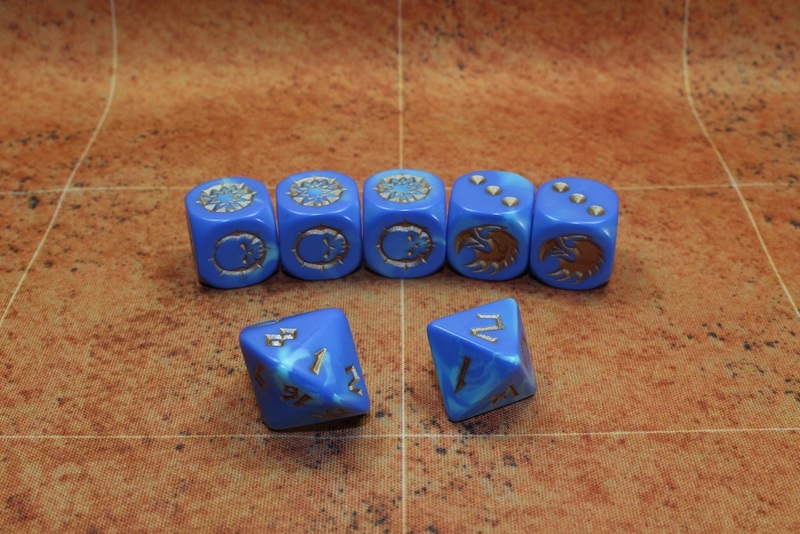 Now, for those of you that have been living under a rock, the previous two sets of team specific dice that Games Workshop released were IMMEDIATELY sold out, and have stayed that way for months. It would seem that this time, Games Workshop has learned from their mistakes and ordered in sufficient quantities, because it’s now a week after the pre-orders started and all the new dice sets are still in stock. It’s also worth noting that the new Skavenblight Scramblers dice set is slightly different than the original dice set. 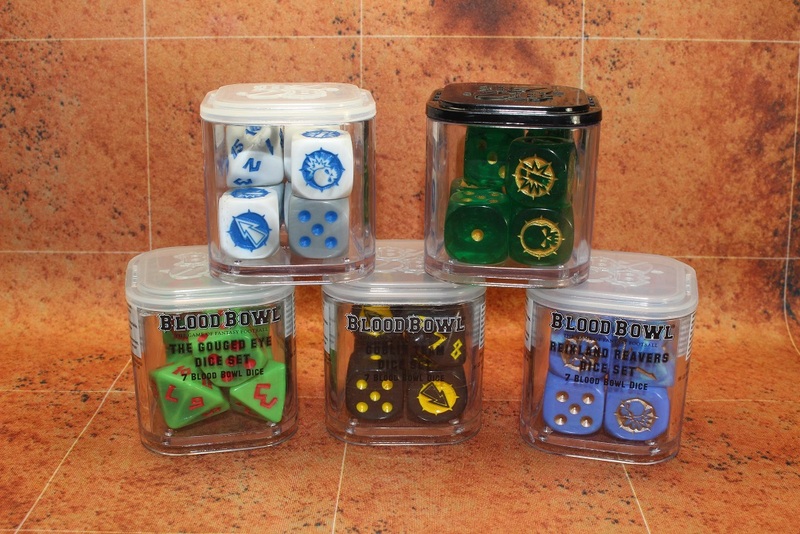 The original dice set had the Blood Bowl logo on the six face of the standard D6’s and the new set has swapped out the Blood Bowl logo for a Skaven logo. That isn’t enough to make me buy them again, but if you’re a major dice collector, you might want to be aware of the differences. On to the dice! There isn’t really a whole lot to say about dice, so this will be a relatively short post. All the dice sets come with three Block dice, two D6’s. one D8, and one D16. Here are all my new dice alongside the previous two sets that were released. 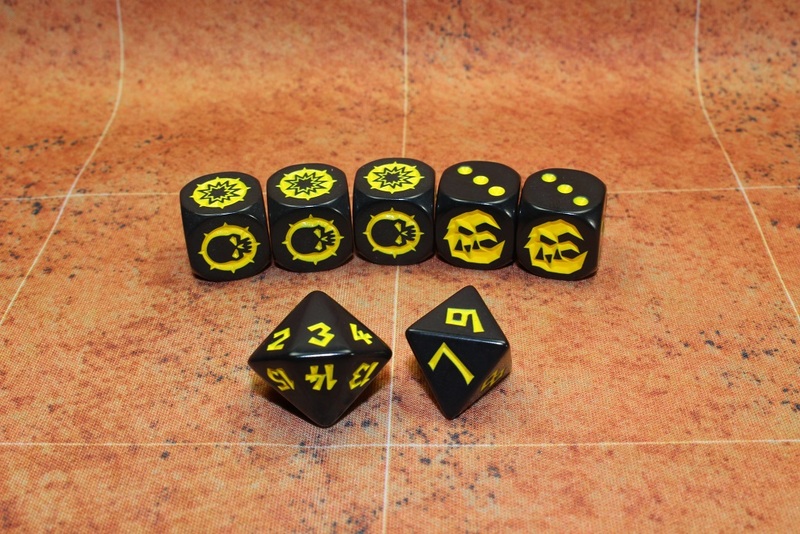 Here is a closeup of the Gouged Eye dice set. There are a marbled green with red pips. Here is a closeup of the Reikland Reavers dice set. There are a marbled blue with silver pips. 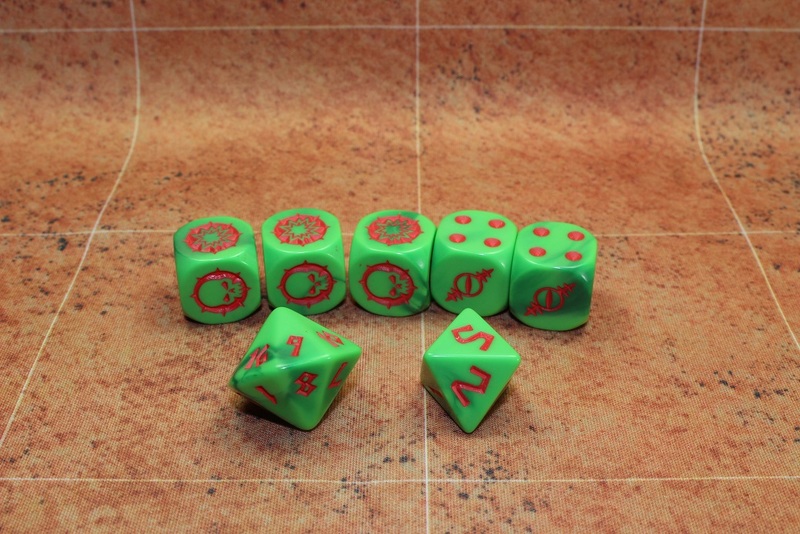 Here is a closeup of the Goblin Team dice set. There are solid black with yellow pips. 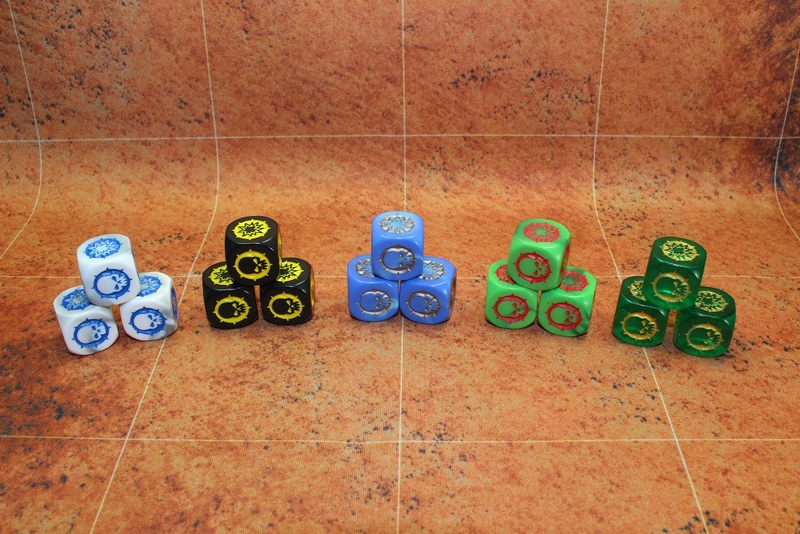 Here is a nice group shot of all the team specific Block dice. The word is that all teams will get their own dice set as long as we keep buying them. I don’t know about you, but I plan on buying them all. It’s not really that I’m a dice collector, because I’m not. 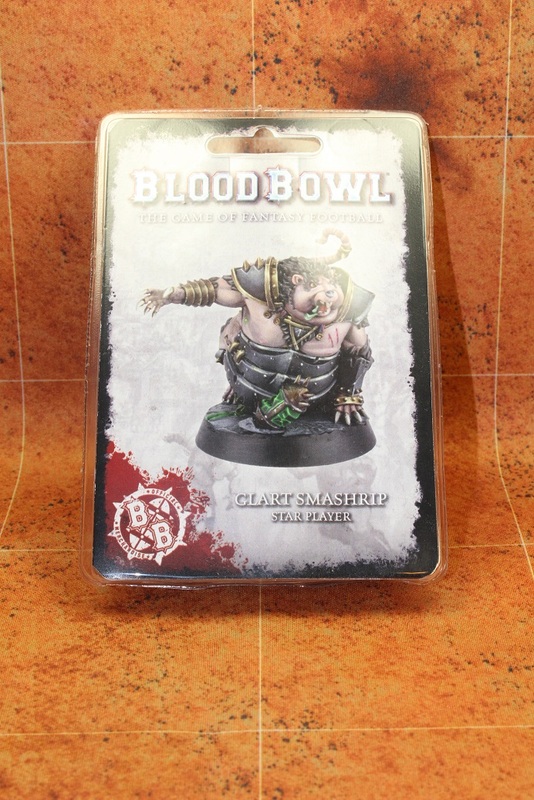 It’s more that I’m simply a Blood Bowl collector. I decided to take another picture of all the sets of different “official” Games Workshop Block dice that I have. 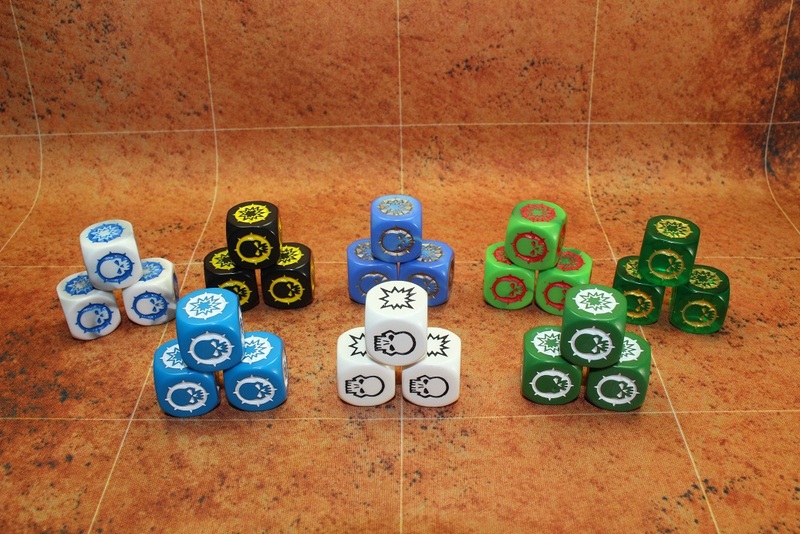 Obviously, if you include all the different NAF Block dice that I showed in my complete Blood Bowl collection post, I have quite a few more sets. I simply decided to keep this picture all about the Games Workshop specific dice. Well, that’s pretty much it. As I said, there really isn’t a whole lot to say about dice. They all look great, and I’m happy to add them to the collection. 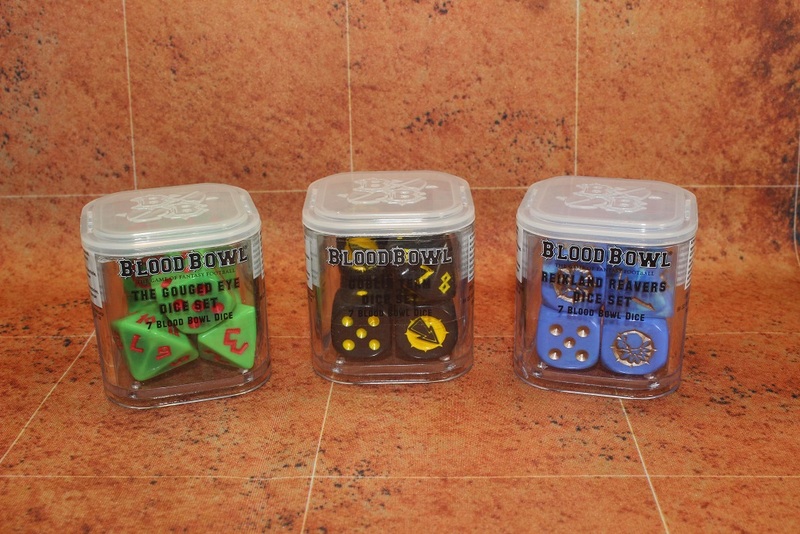 I definitely don’t NEED more dice, but I’m a complete sucker who buys pretty much anything with a Blood Bowl logo on it. For a slightly more descriptive and in depth review of the dice, check out the Double Down Dice review. On a final note… stay tuned as I have another unboxing post coming VERY soon! What do you guys think? Did you buy any of the new dice? This entry was posted in Blood Bowl, Gaming and tagged Block dice, Blood Bowl, Blood Bowl dice, Dwarf Giants Dice, Games Workshop, gaming, Goblin team dice, Gouged Eye Dice, Reikland Reavers Dice, Scarcrag Snivellers Dice, Skaven Team Dice, table-top games, tabletop wargames by Mike C. Bookmark the permalink. Really nice pictures and explanations. I think your picture of the Reikland Reavers set demonstrates clearly how difficult it is to read the symbols, moreso than the pic I put on my blog. Which is your favorite of the new dice and which is your favorite overall? Really looking forward to your Glart unboxing, and also seeing someone paint him for the first time. That won’t be me, with the rate I’m going. I would say that my favorite of the new dice is a cross between the Goblin dice and the Gouged Eye dice. I think the Goblin dice are the easiest to read, but I like the look of the Gouged Eye a little more. Going to try and get the Glart unboxing done and posted tonight. Got a sick 4 year old, though, so I’m not entirely sure how much time I will have to get it done. Hope the little one gets to feeling better soon!